Every month we get reports of thousands of accounts being compromised. We often wondered if it was ours? You shouldn’t have to wait for an error screen on the login page to confirm that. Password Checkup is the latest attempt by Google to fix this. It tries to match your username and password from the data set of the data breach and if your credentials match, the Chrome extension alerts you. 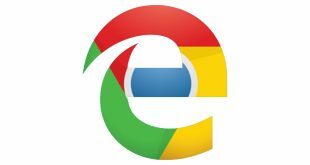 To get the Chrome Extension, go to Chrome browser on your computer and open the Chrome Web Store. Search for Password Checkup in the search bar or click this link. Install the Extension on the Chrome browser by clicking ‘Add to Chrome‘. 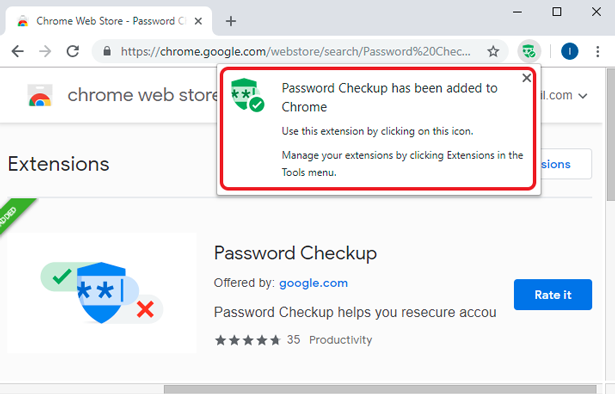 After installing the extension on your Chrome Browser, Password Checkup looks for the breached accounts in the data set. Whenever you log in to your account on any website, it verifies the credentials. If your account matches with the affected accounts, you’ll get a warning and you can change the password of that account. Go to any website and enter your User Name and password. If the credentials belong to the data set of a breached one, you’ll get a red alert. Fortunately, I did not get an alert on my web browser. If you get an error like something below, change the password of that account ASAP. Password Checkup right now only alerts you during the login process. Considering all of your accounts are safe and secure, it is still advantageous to keep the extension on your browser. It would notify you about breached accounts as they come to light. 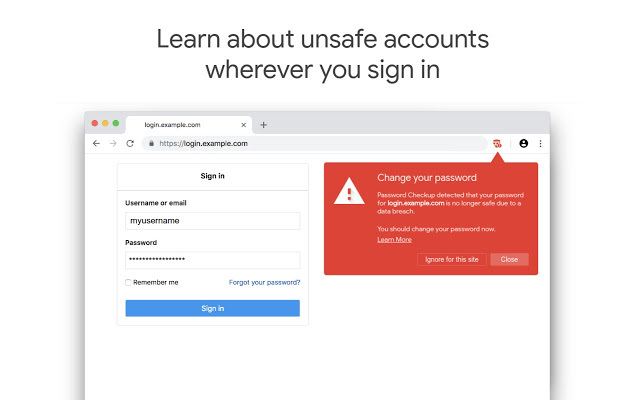 Services like haveibeenpwned allow you to search your account manually and increasing your chances of finding out about the breach before any potential data loss. 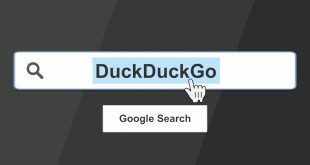 We can only hope if Google would add a feature to manually look up for your account. 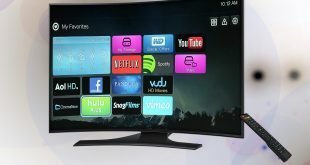 We can never guarantee security online but we can certainly improve it. It is a good practice to set a long and hard to guess passwords for your online accounts. Don’t use the same password for all your accounts and I would strongly recommend you start using a password app like LastPass. Do you have a better way to secure your online accounts? Let us know in the comments below.